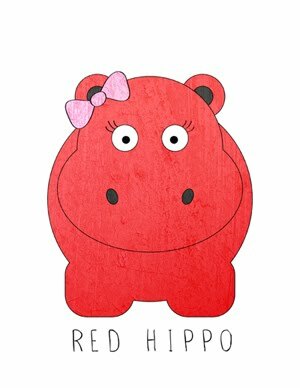 Red Hippo: notes on being busy. you guys. life feels crazy right now. i'm in the artificial lawn business- so this california drought has got people thinking, "sheesh, i need myself a synthetic lawn!" i've been so busy running around the entire bay area trying to get these folks new lawns, that i haven't had time for much else. seriously. i haven't made a proper dinner in a week. last week barley counted for a proper dinner because i scrambled eggs, sautéed some veggies, threw quinoa in the mix and called it asian fried rice. then we ate it with noodles the next night. then i made pancakes. since then, i've been trying to take a breath and eat something other than granola bars. anyway. when work gets busy, my head gets crazy. i haven't had time for yoga, i went to one meeting last week, and i haven't slept in the same bed as tony for, what feels like an eternity, because easton won't go to sleep on his own. today, with heaviness in my heart, i took the kids to day care on my "day off" so i could get work done in peace. my dear friends called me for a hike and i thought- "nope. no way. i have too much feeling overwhelmed to do, i don't have time". but i went. it's so crazy how a bit of fresh air and conversation (with people who understand me) makes my heart and mind a little more…still. when life gives me too much good stuff, my mind starts to get all…sappy and self deprecating. i start telling my little self how horrible i am because my kids have eaten mcdonalds, and mac & cheese, and pizza in the same week. i start saying how life would be better if maybe i stopped working and stayed home and cooked and cleaned and made homemade guitars out of pine cones. maybe then i wouldn't feel so overwhelmed? probably not. i've said it before and i'll say it again. the beauty in this life, the fullness, it can be overwhelming sometimes. sometimes there are so many things, that life feels out of control a bit. that's okay. the best thing to do, is take a breath, maybe a hike, and eat some granola bars out of the package (not the homemade stay-at-home-mom granola bars that makes us working/part time working moms feel inadequate ) and be so grateful that life is busy and beautiful all at the same time.